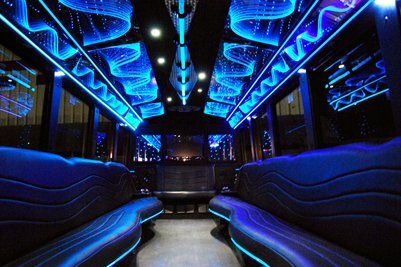 Check out Party Bus Garland, TX as you plan on celebrating with your friends and family anywhere around Dallas County. Whether it is a sporting event, bar crawling, bachelor party, or wedding we have the right vehicle for you. 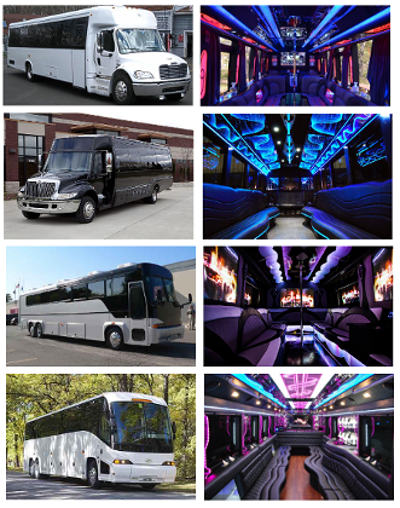 Get a quote now for any of our limousines, party buses, or charter coach rentals. Call 214-206-9269. You can select from a variety of vehicles for hire that best fit your needs such as our 18 passenger, 22 passenger, or 40 passenger buses. With our company you can choose the right vehicle that provides the most comfortable use. You can choose to make your reservation for a one way trip, four hour rental, or twelve hour rental. You might also want to look at the rates for our Garland Limousines. 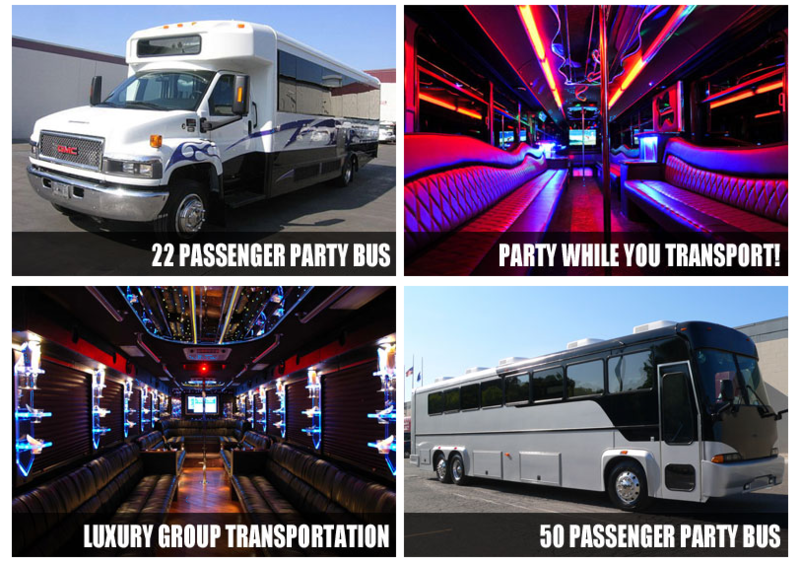 We offer you top notch and unbelievable party buses to meet all your travel and transportation needs. We have the top of the line party bus rentals for weddings, prom nights, bachelor/parties, music concert events, sports events or even corporate events. 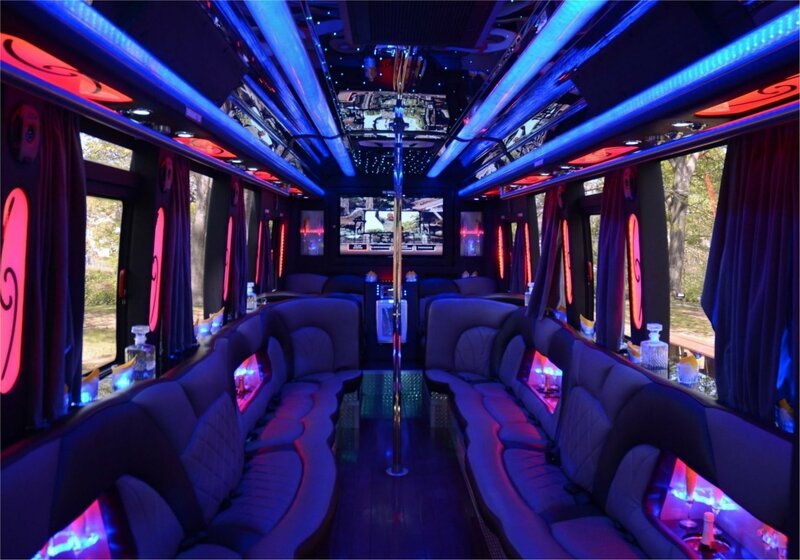 Why Party Bus Garland TX? Get your reservation ready for a party bus rental as everyone gets to ride and make a miniature party within the vehicle as we arrive to your destination. If you make plans to travel and with a larger group than usual we can provide you with transportation service to Historic Downtown Garland, Patty Granville Arts Center, and Hawaiian Falls. Sit in our comfortable leather interior seating and plug in the MP3/IPOD and listen to your own custom playlist. Party Bus Garland provides you with a variety of different vehicles to help you find the right one for your celebration. Our 18 passenger party bus is great for sporting events, weddings, or divorce parties. View the Dallas Cowboys or Dallas Mavericks play their regular season games as they make a push for the playoffs. Book you rental now, before someone else does, call 214-206-9269. You will never complain about the quality and the quantity of service that you get from our party bus rental drivers and customer service staff. Our drivers are experienced and professional with clean driving records and know how to handle all travel needs of the clients. Just give us a call to out toll free reservation number to book the vehicle that you want. You can chat with our sales staff and gather more information about the facilities, charges and the offers on party buses. Booking in advance will give you chances to get the bus you desire. Our 22 passenger party bus can provide you with even more space as we take you to the State Fair in Texas for the Red River Shootout between Texas and Oklahoma in the Cotton Bowl. Watch some of the pregame show before the start of the game on the large LCD screen and then make your way into the stadium. From a birthday, bachelorette party, night on the town, and bar crawling you can find yourself at Far West, ORb Nightclub, Lizard Lounge, and more. Our chauffeur service is your designated chauffeur for the evening so you do not have to worry about driving home and getting a ticket or getting in an accident. Our party buses provide you with the right solution for your night on the town. Check out our larger 40 passenger Garland charter bus which is great for corporate events, weddings, sweet sixteen, sporting events, and prom. A large LCD screen in which you watch a game or a movie and sit back and enjoy the ride as we make our way to your destination whether it is in Garland or the Dallas/Fort Worth area. Have your wedding party get on board and take you to where you need to go. If you are going to transport from a wedding to a reception have us provide you and your party with a ride to your destination. Our surround sound system makes it easy to listen to the radio or plug-in your MP3/IPOD player and listen to your playlist. Stand up and move around the vehicle as we make it to your destination. Dark Hour Haunted House; enjoy the wonderful world of zombies and have great fun in the haunted house. Lake Flying Saucer; enjoy some of the best tasting beer in this fun place with your friends. Duck Creek Golf Course; this is a very good golf course to try your golf skills. Hawaiian Falls Garland Waterpark; this water themed park offers great fun for your kids. We offer the best services with the reviews to back it. You need not worry about breaking your bank by hiring our services as we offer transportation services in luxury at the most affordable rates. We compare all local companies to provide you with the best prices. The international airports close to the city are: Dallas Love Field and Dallas/Fort Worth International airport. We offer the best airport transportation to and fro airports at any time of the day or night. Get ready to make your way to the airport with your friends or family as you get ready to head out of Texas to another destination. Our company provides you with transportation to Dallas/Fort Worth International Airport. Make it an early arrival and get and make your way through the ticket counter and security check point so you do not have to arrive late to the gate. Our party buses can surprise you and your family with a ride to the hotel or a ride home once you have arrived after a long flight. Don’t you worry about having to call multiple cabs or a few friends to provide you with a ride, our vehicles have the space you need to get everyone in and sitting comfortable on the leather interior seating. The Garland party bus service provides you with a variety of charter buses to select from when making plans. With the correct vehicle to fit the number of passengers you will need for a wedding, airport transfer, night on the town, sporting event, and more. Make plans that will have your party riding in the right Garland party bus rental as you check your favorite team and celebrate with those closest to you. Select from our 18 passenger, 22 passenger, and 40 passenger coach buses in Garland, TX. Price for Limo can provide you with a quote within seconds on any of our vehicles for hire. Any party bus in Garland can will be ready to have you celebrate with your friends and family as you make it a fun and entertaining experience. 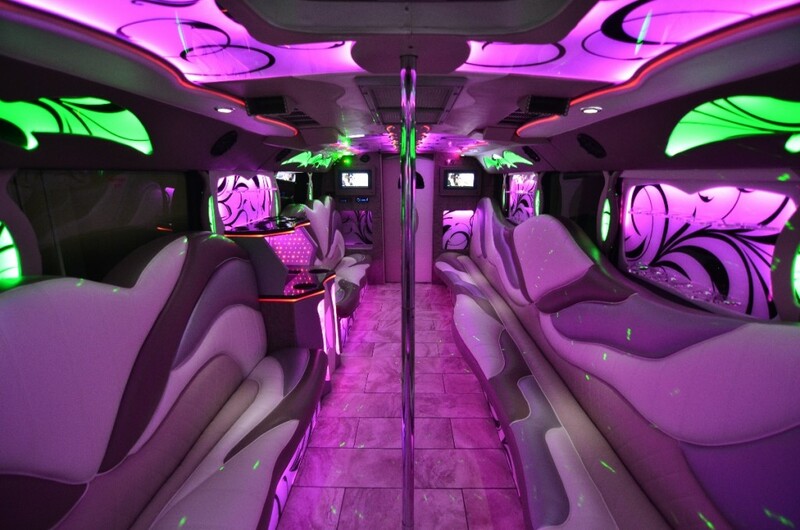 If you need more options, have a look at our party bus rentals in Lancaster and DeSoto party buses.